I love this, Karen! Fabulous take on the inspiration photo! 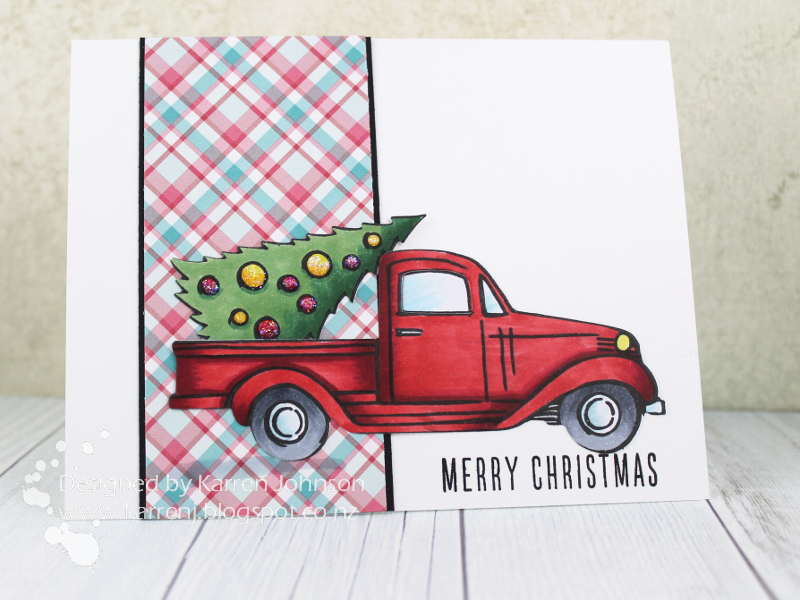 what a fun design, karren...love the plaid paired up with that cute truck!! Adorable card, Karen! 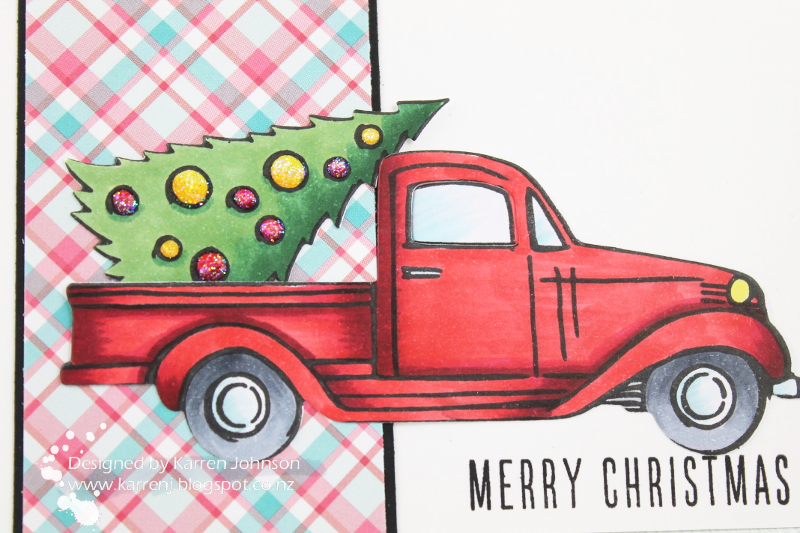 Love the truck and sweet plaid paper! 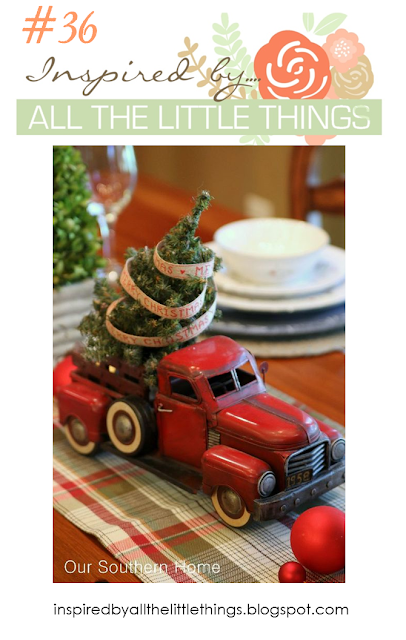 I love that truck and tree stamp. Perfect for this inspiration. Great card! Wonderful holiday scene that is a perfect take on the photo! Love the touch of plaid! Great chance to use your truck stamp. Your card looks great! I also love your cards above with the moose and the mice on the wreath! How cool is it that you have these stamps! I love your literal take on the inspiration photo! 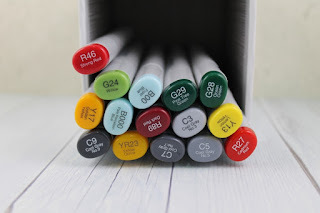 Your Copic coloring is flawless, and I love how you added sparkle to the baubles on the tree, too...Awesome card!